Ridley Scott Reveals Title of 'PROMETHEUS' Sequel, Which Will be Part 1 of 3 New Movies! 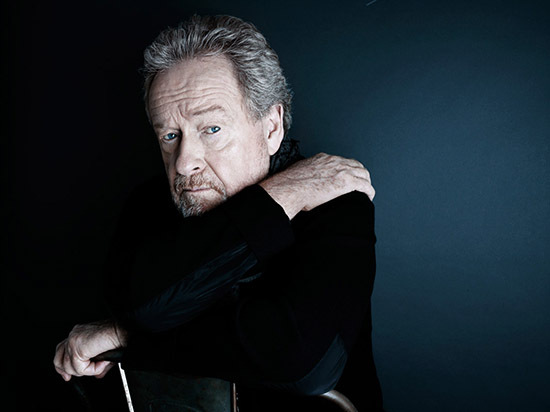 Very interesting statements by Ridley Scott have surfaced online. The director has revealed that Prometheus 2 will actually be titled Alien: Paradise Lost, speaking to HeyUGuys at the Premiere of The Martian Scott stated: "Well, because we’re heading back to why and how & when the beast was invented, We’ll go back into the back door of the very first Alien that I did thirty years ago." Paradise Lost seems an obvious reference to English poet John Milton’s work about the fall of man which Scott confirmed; "You know the poem? I’m sure you’ve never been through it, the poem’s a book, ‘Paradise Lost.’ It sounds intellectual but there’s a similarity to it. That’s where it stops." A planet which will be revealed in Alien: Paradise Lost, the home-world of the engineers, is said to have been dubbed 'Paradise' by the filmmakers. When asked on the connection to his 1979 masterpiece Alien Scott replied "Yes, but it won’t be in the next one. It will be in the one after this one or maybe even a fourth film before we get back into the ‘Alien’ franchise… The whole point of it is to explain the ‘Alien’ franchise & to explain the how and why of the creation of the Alien itself. I always thought of the Alien as kind of a piece of bacterial warfare. I always thought that that original ship, which I call the Croissant, was a battleship, holding these biomechanoid creatures that were all about destruction" Alien: Paradise Lost begins principle photography in february. I'm reading: Ridley Scott Reveals Title of 'PROMETHEUS' Sequel, Which Will be Part 1 of 3 New Movies!Tweet this!